I would like to list how many items I have in my Inbox and Contacts folders. 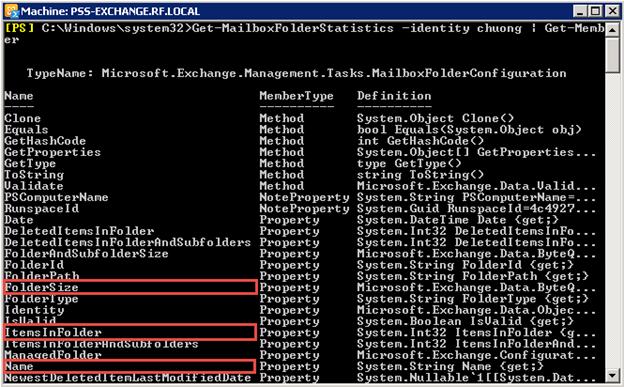 This guide will show you how to do that from Microsoft Exchange PowerShell. First, show all commands that have the word folder in it. I found that the command Get-MailboxFolderStatistics might do the job. We will use Select-Object to show these members. Now we should filter out only the Inbox and Contacts folders using the Where clause.